Quite by coincidence I happened to read two books which dealt with the subject of becoming homeless one after another. They both had a different take and very diverse feel to them. 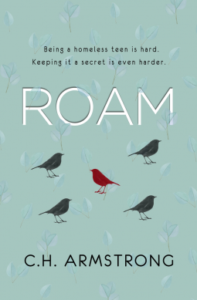 Roam was from the point of view of a teenaged girl and NFA from the point of view of a ten year old boy. Both became homeless through no fault of their own and both had instances of living in their car/van with their family. She catches the eye of the star football player and makes an enemy of his ex-girlfriend on her first day. Abby vacillates between a spoiled rich girl knocked down a few pegs and a genuinely likable character. She plainly adores her sister and step-father and goes out of her way for their comfort. It’s also obvious that she hates her mother and blames her for their situation, whether or not that is warranted, and sometimes it was a little hard to read the snide insults and bitching she aims towards her mother. As the story progresses we see the step-father doing his best to get them somewhere warm to live and he fights the system in order to make sure they are fed and housed. It was interesting to see the various schemes that are in place for those who find themselves in that situation such as the 2 week housing, the various lunch programs and soup kitchens. On the whole I gave this book four stars because I enjoyed it, it felt real and I could see it being used in classrooms to talk about homelessness. I saw this as young teen, maybe 15-19 year olds. In contrast No Fixed Address is told from the point of view of twelve year old Felix Knuttson and it does read like it’s for a younger audience. Felix is endearing and kind and a genius when it comes to trivia. His mother, Astrid, is a loving but unreliable woman. She has the inability to hold a job due to her attitude and the 1970s distrust of authority which refuses to allow her to ask for help. Here we do not have insight into soup kitchens and places of refuge. Here Astrid steals, manipulates and lies in order to get what she needs. Felix tries to stay on the right side of the law but is hindered by several things, not least of which is his mother. 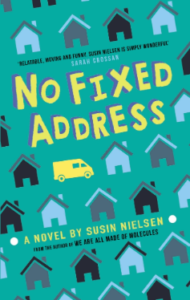 Astrid manages to get Felix into a very good school but forging documents and blackmailing someone to let her use their address. 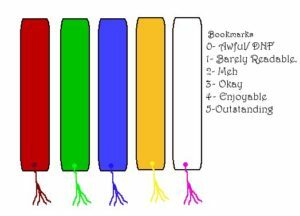 Felix spends most of the book trying to dodge his friends’ questions and requests to come around to his house. As luck would have it, a new junior trivia show accepts him as a contestant and he knows that if he wins the grand prize then he can finally get them somewhere to live. He can take care of them both. NFA has real grit at times and does show the realistic side of living in a van; the lack of plumbing, the staying in close quarters with your mother when you’re a 12 year old boy, the people who notice the same van parked in the one spot and the dangers that come from outside. I liked that fact that a few teachers, despite Felix trying to hide it, were obviously concerned and tried to help him out. The rest of the characters were also likable and fully nuanced, Astrid was more than just stroppy and unreliable; she was also sick and needed treatment. His friends were supportive and honest and the various adults tried their best to help him. I think the final chapter is a fantastic ones and shows how expectations are not really all they are cracked up to be. I gave this 4 stars because I so enjoyed the lesson in the last chapter and the character of Felix. Thank you for he wonderful review of ROAM! I’m sinceeely glad you enjoyed it. And dangit! I need a proofreader!!! Apologies for the typos.